Everything is really customizable so you can change the width, colors, and what and how things are displayed in the menu bar by tweaking settings in the iStat Menus Preference pane. For my uses, I show Disk IO, CPU activity, and bandwidth usage, but if you want to see everything going down on your Mac you can do that too. 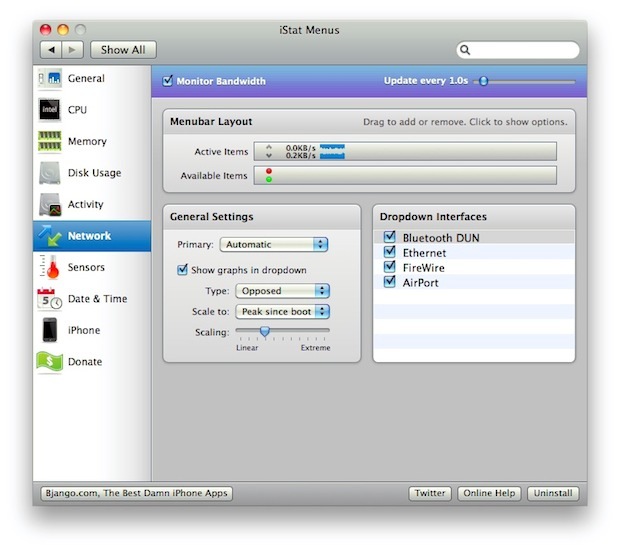 Now here’s a little secret, iStat Menus 2.0 can still be downloaded for free from third parties. Update: To clarify, the free version only supports Mac OS X 10.6 or lower, while iStat Menus 3 has full Mac OS X 10.7 Lion support and costs $16. Both were created by the same developers, the company just changed their name. Thanks to Valashtar for the clarification. I much prefer this method to just showing CPU load in the Dock with Activity Monitor. One because it’s a smaller footprint, two it’s easier to spot more detail at the top of your screen, and three because you can pull down the menu options and see even more information about whatever it is you’re monitoring. 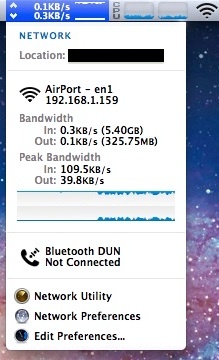 This is what the bandwidth monitor looks like when you click on the menubar item, it shows incoming and outgoing data, peak speeds, your IP, network location, and you can also access other network utilities from the pulldown menu. This kind of detailed information is available for each aspect of your system that you are monitoring. Pulling down the CPU menu will show you the top processes, load average, uptime, and more. Disk Activity will display a chart of reads and writes for each drive, etc. My only complaint is that the Memory monitor portion doesn’t show swap usage in the menubar, but considering you can usually feel and see swap usage (the spinning beach ball of death), it’s not that big of a deal. On the topic of RAM, if you are hitting virtual memory too often I suggest you check to see if your Mac needs a RAM upgrade, RAM is so cheap these days and makes a big difference in system performance so it’s hard to not justify the minimal expense to max it out. All in all this is a great free app that is quickly disappearing from the web, so if you like to keep an eye on how your Mac handles it’s resources, grab iStats Menu 2.0 for free before it’s gone. Another free option is MenuMeters which has the same kind of system information. It doesn’t look quite as elegant as iStat, but it gets the job done and is donationware. MenuMeters. Just downloaded it. Appears to be open source (WIN! ), and quite effective. Resource usage is still TBD, but so far looking good! Thanks for the tip! 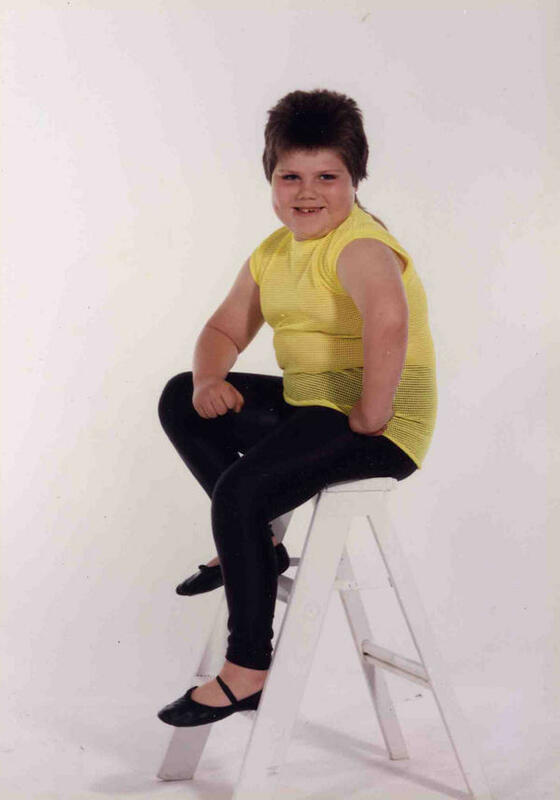 Meh, doesn’t work in Lion. Oh well. This is a great tip, but I have one bone to pick: iStat Menus was not sold to a third party; the folks who started the project are still developing it. They did change their name when they started making more iOS apps, but they’ve always been the same company. For those of you who need Lion compatibility, iStat Menus v3 does currently support and will continue to enhance support for, OS X Lion. Thanks for the clarification, we were told the application was sold to new developers. The post has been updated. and iStatMenu migrated fine and works well. switch me to their paid version.